We specialise in laptop repairs Brisbane. We take dead Laptops and breath new life into them. 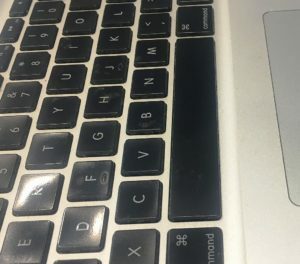 At iFixlaptops we service and repair any make or model of laptop no matter what the problem is rest assured we would have seen and fixed this before, from Hardware to Software problems we can handle everything. You can come to us OR we can come to you whatever you prefer. There are going to be times when your laptop gets a virus or malware infection of some type, but not to worry as we are experts at removing malware / Viruses from laptop computers. Symptoms of virus activity will be the possible slowing down of your laptop or maybe some random annoying program popping up on your screen all of the time, there are other possibilities of malware when your browser is being hijacked or redirecting you to somewhere that you do not want to be on the internet. This problem with your laptop can be a hardware problem or a software problem and without the correct knowledge it is difficult to work out which one is causing your problem. If a software problem then this could be incorrect drivers for the hardware or windows itself is hogging the memory and CPU on your laptop causing delays in loading what you want to do. The hardware issue will be your hard drive has over time accumulated to many bad sectors and is struggling to read the data on the disk drive, there is software that can be used to diagnose this for you but the best thing to do here is BACKUP your data then bring it into us so that we can replace your drive and try save your Apps and data to the new hard drive. This is something that we do see a lot of where people . close something inside the screen and this will crack the LCD making it unusable as the screen is unreadable. We keep a large range of the 15.6 inch screens as these are by far the most popular size and our turnaround time is normally just 30 mins. This is a very common problem with laptops due to the compact size of your laptop and the power that it can produce in processing a multitude of things at the same time, this processing or intensive use of the laptop CPU will generate heat. 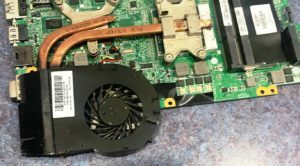 Your laptop has its own built in cooling system but most of the time this is inadequate as over time the system will get jammed up with dust and lint as per below. Has your Laptop charging jack stopped working? Well let us replace the jack with a new one and get you computing once again.Laptop keeps freezing or switching off when you plug in your charger then get the right fix for this by replacing the faulty component on your motherboard. Do not buy a new laptop as most will advise, get it fixed by people that can do the job. Have you broken your Laptop screen or are you having problems viewing your data on your Laptop screen? Then you have come to the right place for fast laptop screen repairs Brisbane at great prices. We can fit your Laptop screen the same day provided we have in stock for as little as $200, so don’t delay and call today. 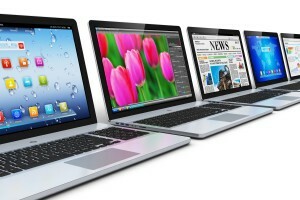 We also carry Macbook, Macbook pro lcd in stock and also do repairs to the front glass on these devices. All Of Your Laptop Repairs Brisbane fixed fast. No power or charging dc jack damaged then we can repair this fault from as little as $130. Laptop screen hinges broken then get it fixed from $120. We can supply Batteries and chargers for all Laptop models. Need your hard drive upgrading but want to keep the data, too easy give us a call. Want a ram upgrade? call us for great prices. Have an issue with the screen going black or distorted we can fix this you know so don’t throw it out just give us a call. Problems with not charging or freezing when charger connected, we can repair these faults by repairing the faulty component on the motherboard.